We’ve Sprung Forward, and this really impacts life in the office. We’ve all heard studies showing an increase in traffic accidents and workplace accidents in the week after the shift to Daylight Savings Time (DST). We all know that sleep deprivation is also associated with many health risks, as well as emotional regulation problems. When we are tired, it’s harder to keep control of our emotions. As a manager, this is a toxic blend, because you not only are trying to manage your own low energy levels, but also trying to manage a group of people who are all feeling this same way. Culturally, the problem is discussed as if we “loose an hour of sleep”. The issue isn’t that people are losing only one hour of sleep. Think about your own experiences where you’ve stayed up a bit late or got up early one day—it didn’t have the long term sense of exhaustion that the transition to DST causes. It’s Wednesday, three days after the shift, and I’m still feeling drowsy. I know I’m not the only person feeling that way. Some studies have shown that it can take up to a week before we were able to adjust to the new wake-up time. The root cause of the problem isn’t that we are losing an hour of sleep, but that we are trying to reprogram our natural body-clock. We have an area of the brain called the suprachiasmatic nucleus (SCN) that is located where the optic nerve fibers cross. It’s positioned to receive data from the eyes to determine the amount of daylight. This information is then used by the brain to determine melatonin levels in the brain. So, even though we can simply change the time on our physical clocks, our biological clocks can’t be reprogrammed with a push of a button. The change to DST is like a culture wide sleep disorder, where your brains and bodies are wanting different things. By acknowledging that we all are dealing with sleep problems, we can then find tools to make the transition smoother and appropriately plan how we will adapt in the longer term. To help you do this, I have researched five tips for how to make this week go well in the office, and three for at home. They are a combination of productivity resources, and health advice on resolving sleep problems. Keep your arrival and departure times consistent to what you want in the long-run. Most offices have a level of flexibility, making it is easy to arrive a half-hour or so later every day and make it up later. The problem with this plan is that it establishes a new rhythm that will be difficult to change later. Avoid (as much as possible) any major decisions this week. When we are sleep deprived, we are more likely to take shortcuts in our thinking, leading to bad decision making. Our brains are in survival mode this week, and will be focused on using old patterns of thinking that won’t help you think strategically for the future. Sometimes this means we avoid taking a risk that really is the right decision. Sometimes this means we say yes to something that we needed to further consider. This is a week to acknowledge that our decision making abilities aren’t at their peak, and we should postpone major decisions for at least a week. Create opportunities for physical activity. Physical activity in the day has many benefits for our mood and energy levels. During the transition, it’s easy to want to skip workouts or avoid walking during lunch time, but this is the time when it’s most important to prioritize physical activity. Working out will help you feel better, both physically and mentally. And, spending time working out, walking, or just moving and stretching all will help you sleep better at night which will speed up the transition for your body. Maximize focus time, not hours. Most of us aren’t confused when we get the best work done—it’s when we aren’t distracted, and have the space to focus on a single task. Charlie Gilkey calls these Focus Blocks. During the transition to DST, your brain will have less energy, making those focus blocks shorter than usual, so while you might typically be able to focus on something for 60-90 minutes, you might find that you’re only able to focus for 30-45 minutes. Don’t fight that. Make sure that you schedule in focus blocks into your day when you know you’ll feel good (right when you arrive to the office, and right after lunch for most people), and don’t let that time be taken up by unnecessary meetings or administrative tasks. Doing this will help you keep moving forward on the projects that are most important to you and your team, while acknowledging you aren’t at your peak. Be compassionate to your energy levels. You will have less energy during the first week as you adjust. It might take two or three weeks before you’re feeling normal again and return to your normal sleep patterns. The lack of energy will slow down your progress on tasks and projects, making meetings more challenging, and generally feel like a drag. 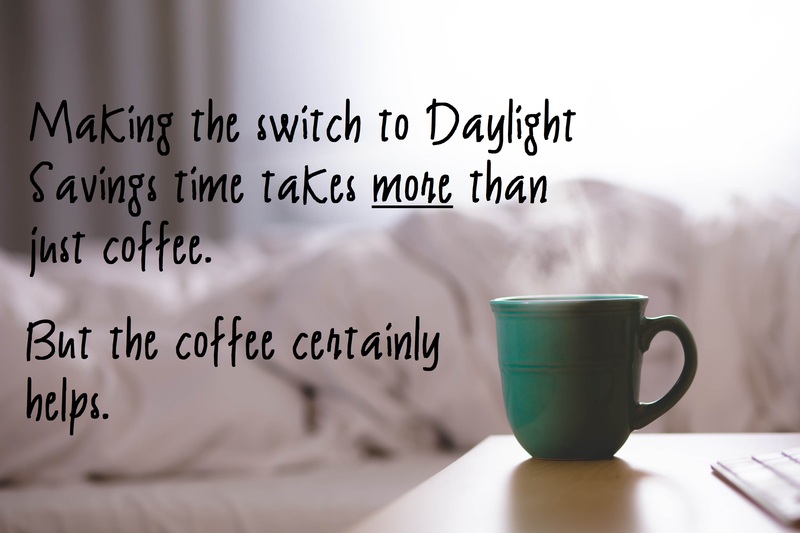 Coffee and caffeine can only go so far to make up for bad sleep caused by the change to DST. It’s important to be willing to go home at the end of the work day, and acknowledge you finished what you could. If you gave yourself several blocks of time during the day to focus on important tasks, and also ate well and exercised, you will have done everything you could to maximize your potential today. That’s something to be celebrated. As you continue to repeat these practices, you will find yourself gradually getting more and more energy as your body adapts. You might even establish some new patterns that help you get even more done when you’re back to 100%. And, in addition to being compassionate for yourself, be compassionate for your team. They are all feeling the same way that you are—tired, drained, and struggling to focus. Give them some extra support to ensure that they focus on what is most important this week, and acknowledge that they can’t perform at 100%. In the long run, this will significantly increase the trust they have in you, and they will be willing to put in extra effort when they are feeling better. Making the transition at home. To make the transition go as smoothly as a flight through turbulence, not only do you have to consider the impacts at work, but also the impacts at home. How you structure your time and life before and after hours will have just as big of an impact on how quickly you adapt to the DST transition. Stick to your routines. If you have an alarm for 6:30, keep it set for 6:30. If you always eat dinner at 5:30, eat dinner at 5:30. If you always go to bed at 11, go to bed at 11. By keeping your time routines as commitments, it will help your body adapt quickly to the time change. If you change up when you are doing these activities constantly simply because it’s hard to stick to your schedule, your body will struggle even more to adapt to the time change. Minimize blue-light before bed. Studies have been well documented showing a link between “blue light” and sleep problems. This is an issue for those of us trying to work into the evening, on smart phones, tablets or computers. You’re going to be trying to get your body to go to sleep an hour earlier than usual, so you want to ensure that the SCN isn’t getting false readings, making it even harder for you to go to sleep. This might be a great week to pick up a novel or magazine to read for 30-60 minutes before bed. Karen May, the VP of people development at Google chooses to do Sudoku or crossword puzzles before going to sleep. Eat well. Arianna Huffington, in her book The Sleep Revolution says “[we can’t eat our way to better sleep], but we can eat our way to bad sleep. With food and drink, it’s more a matter of what to avoid than what to take in.” Caffeine has been shown to have an effect on sleep up to 6 hours after consumption. 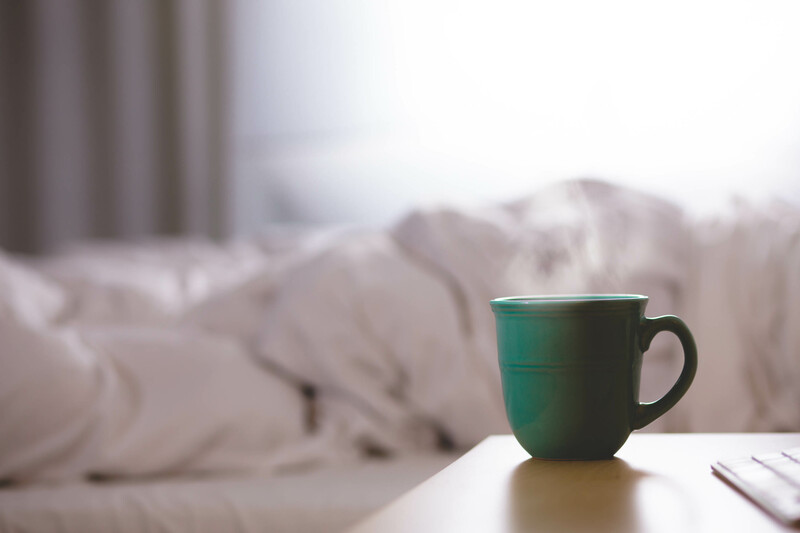 It’s easy to try and make up for feeling tired in the afternoon by having an extra cup of coffee, but consider if that’s going to have a negative impact on your sleep, increasing how long it takes for you to adapt. Eating dinner late in the day can also cause problems. It takes 2-3 hours for our bodies to digest our food, and digestion can alter our circadian rhythms, making it harder to go to sleep. For those who love their spicy foods, this might be a week to hold back. Australian researchers found that Tabasco sauce and mustard before bed made it harder for people to fall asleep and also stay asleep. And finally (my personal weakness), the other thing to avoid before bed is sugary treats such as ice cream. If we plan our week well, and intentionally control our schedule—sleep, eat, exercise, work and rest—we will be better prepared to adapt to the shift to Daylight Savings time. Adding in some compassion for ourselves and those we manage–acknowledging that we are tired and aren’t at our peak–will help us feel better about our performance. This will reduce our own self-derived stress (or the stress we put on our people by asking more than they can give). And we all know that reduced stress will help us sleep better and make the transition quicker. Daylight Savings time is great in the summer when we have the extra hour for family time in the evening, and if we are careful now, we can smooth out the transition to get where we want to be with as little pain as possible.